Hello Refashion Co-op. It is getting to feel a lot like spring around here but last week it was a different story. It was cold and a little snowy. 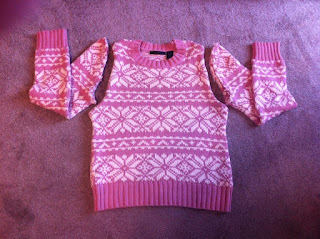 The snow inspired me to use this pink snowflake sweater. 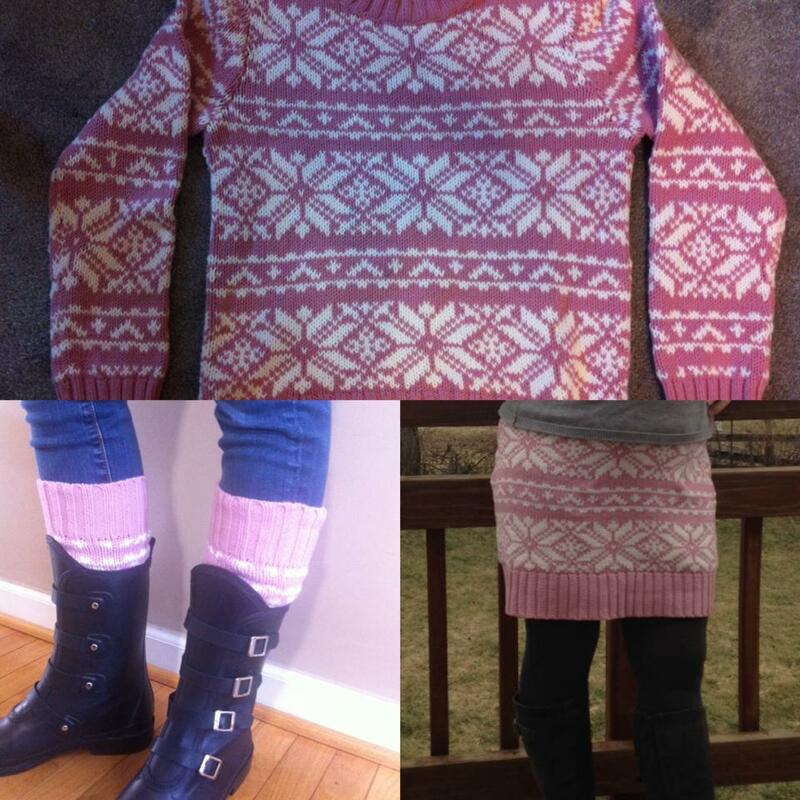 I did a quick sweater refashion. My daughter has had this sweater for ages and has always wanted to make leg warmers out of the sleeves. I have seen some sweaters turned to skirts on this blog and on Pinterest so, I decided to try that with the body of the sweater. I started cutting the sweater. I should have left more room at the top for the waist. This sweater is big so it worked out but it could have been too narrow. I should have cut the arms off and left the shoulder area attached to the body of the sweater. I used a zigzag stitch to close up the ends of the sleeves. 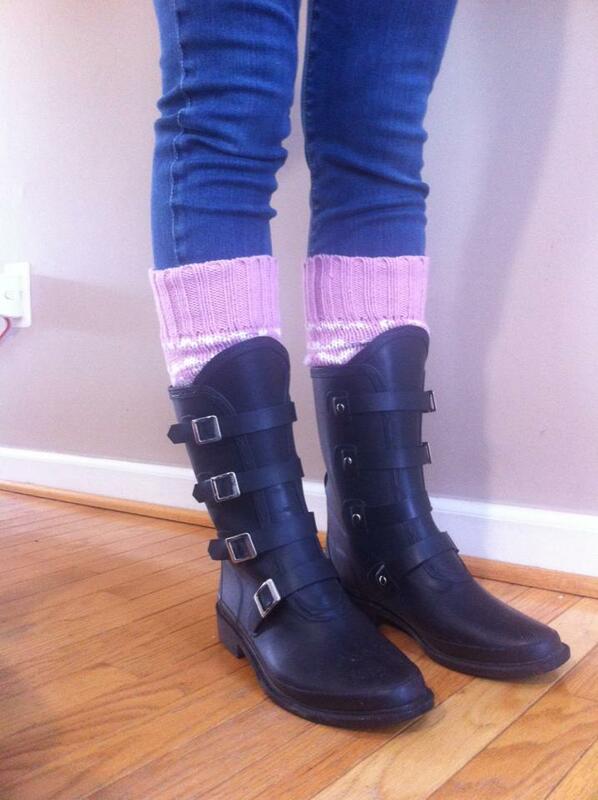 The wristbands are the tops of the leg warmers. I used plain elastic for the waistband. I just attached it to the sweater with a zigzag stitch. This sweater is bulky and the elastic was great for smoothing over the new waistband. It makes it more flattering under shirts. Thanks for reading, for more details go to I Can Work With That. Perfect sweater to turn into a skirt! I love it! Thanks Jennifer. I appreciate you comments so much. 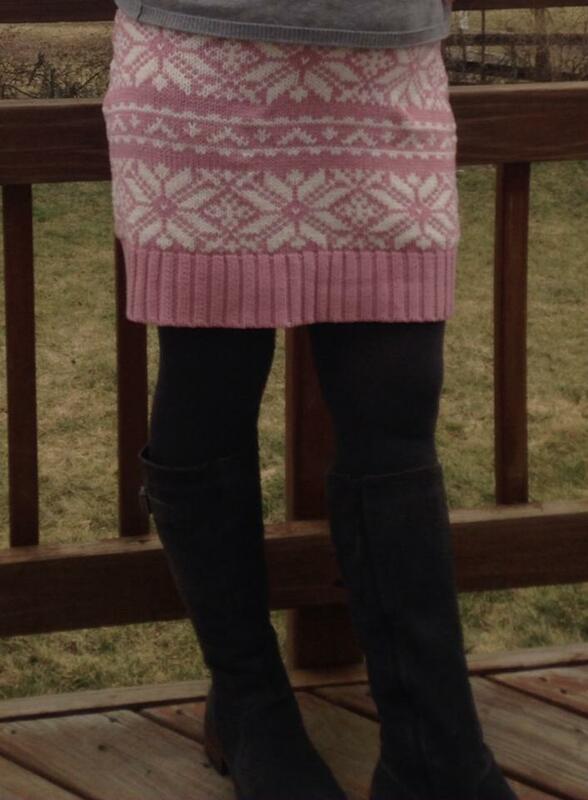 That sweater does make a really cute skirt. Nice refashion.